This holiday season you’ll probably be checking online reviews for restaurants, stores, products, and much more. I know I look to online reviews when making purchasing decisions. I’ve bought items and shied away from certain products based upon the review of others. Beware of legal ramifications of online reviews. I was astounded to watch a newscast from KSHB in Kansas City about a woman who left a mediocre review on an orthodontist. She left him a 3 star review because she felt the service was OK.
She was contacted by the orthodontist and asked what they could have done better and she told him. She was impressed that he cared enough to call. About a month later she received a nasty letter from an attorney that she was being sued if she didn’t take the 3 star review down. It created quite a stir in that community. People even came up to her in the grocery store and said things to her over that issue. While we have free speech laws a business still has the right to sue you if they feel they have been slandered. Some states have enacted an anti-slapp (Strategic Lawsuit Against public Participation) law that protects consumers from businesses or governments for voicing their honest opinion. I’m no lawyer, but it appears Florida does have a law like this that protects against governments suing you. I read of a case where it was applied to protect against a business as well. If a business must bully consumers into writing 5 star reviews or nothing at all I would suggest that business may take a beating in the court of public opinion. The Kansas City lady isn’t backing down and now it’s made national news. How great is that for the orthodontist? I have no idea if he’s good or bad, and if I was in Kansas City I wouldn’t have judged him harshly for a mediocre review. I think people weigh all the reviews before making an opinion. I think this could have been handled much better. If a customer is unhappy with us I would hope they’d respect us enough to give us a chance to correct whatever issue was bothering them. Most people will before writing a bad review. We encourage reviews. If you’ve had a great experience with our team, or just enjoy reading our newspaper article, we’d love for you to review us at google.com/+Topagent If you’ve had a mediocre or negative experience, send us an email at brett@topagent.com and we’d welcome the chance to address it. We think this is a much better way to handle positive, mediocre, and negative reviews. Hiring an attorney to threaten legal action over mediocre reviews just seems kind of old school and not in the spirit of how business is transacted today. Sure, there are always goofballs that can hide behind an online identity and say whatever they want about your business, but this case in Kansas City doesn’t seem anything like that. 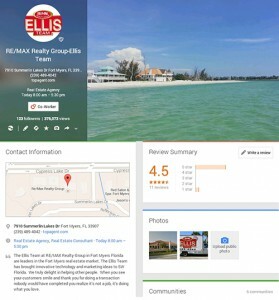 If you’d like to search the MLS like a pro, go to our website Topagent.com and you can see homes currently on the market throughout SW Florida. 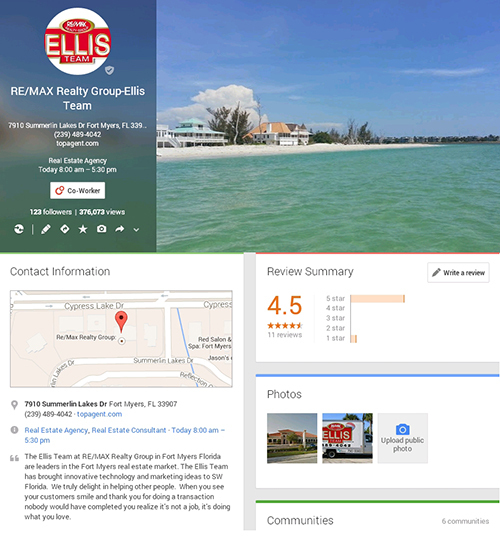 If you have a property to sell, check out our reviews, then call the Ellis Team at RE/MAX Realty Group 239-489-4042 We’re easy to talk to and we love to help people. We look forward to hearing from you and reading your reviews. And be careful when writing negative things about businesses unless it’s all true. While Florida may have some protections for you in can be costly to defend something like this. 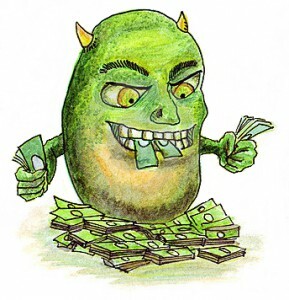 It pays top check them out beforehand so you never have to write a bad review. 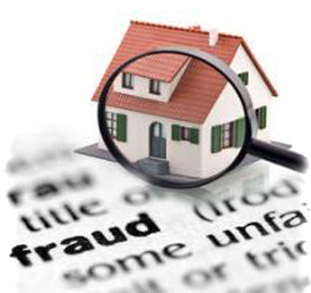 Beware of Property Scams in SW Florida. 2 weeks ago our office began receiving phone calls from confused customers calling in on one of our listings. The problem is they were under the assumption the property was for rent when it is actually listed for sale. Upon further investigation we found a Trulia listings advertising the property for rent. Our listing is also on Trulia for sale. Rental customers were interested in renting but were confused with it being for sale, so many called us. We assured each one of them it was not for rent. They were being told the family had a change of heart and decided to rent it. We called the family to verify and they said it is not for rent and knew nothing about it. We had the ad taken off Trulia after a phone call to them. A few days later we received more calls. One person mentioned that seller was expecting a money gram for $1,000 deposit and $800 1st month’s rent and then seller would send the keys. No lease mentioned, just keys would be Fed Ex’d when money arrived. The prospective tenant questioned him about the For Sale sign in the yard. She was told that he was very unhappy with the team selling the home. He said the real estate company let someone move into the home and they trashed the place, so as soon as she sent the money he would take the For Sale Signs down. Luckily for her she called our office before she lost the money. We reached out to the Lee County Sheriff’s office who is investigating. We spoke with several detectives and they say this is a growing epidemic here in SW Florida. They’ve seen many complaints from ads on Craig’s List and all over the Internet. It’s a real shame because these scam artists are virtually assuring that you must go through a reputable company to rent anything. How is a buyer or renter to know if they’re actually dealing with the owner? Detectives tell us quite often the scam artists opens up phone numbers in the US using a service like Magic Jack, but really many are from overseas like Egypt. According to the sheriff’s office scam artists in Lehigh Acres are selling properties they don’t own to unsuspecting buyers who think they’re getting a good deal. If the deal seems too be good to be true and there are not licensed professionals involved in the deal, you might want to investigate the deal further. If you see a home listed for sale and for rent with different owners or companies, it bears asking further questions. Never give out personal information or fill out detailed application forms until you’re sure who you’re dealing with. In the above case the scam artists are looking for money, but we could see unscrupulous people using your private data from a rental application for identity fraud to obtain credit in your name. Use MLS search sites like Topagent.com to search the MLS. Using sites like VRBO, Craig’s List or Ebay is risky if you’re not dealing with the legitimate owner. If you have concerns or feel you’ve been a victim of a property scam, contact the local Sheriff’s Department and they will assist you. More importantly, take the steps beforehand to protect yourself so you don’t end up a victim. Why Feed the Rent Monster? Call our office at 239-489-4042 to reserve your spot. We’ll have lenders on hand to answer financial questions and offer credit advice. Our team will show you how much more it costs to rent versus purchasing a home and how much buying a home can save you on taxes. We’ll share with you how to build equity. A fixed interest rate locks in your monthly principal and interest payment. Renting typically has yearly rent increases, and when you’re done renting you have nothing to show for it. We’ll show you how to lock in your payment, build equity, and save on your taxes. Studies prove children do better in school when the parent sown their own home, and divorce rates are lower too. Most people don’t buy because they have fear about the process. We’ll take the fear out of the picture as we walk you through the entire process. We’ll hold your hand and explain what comes next every step of the way. 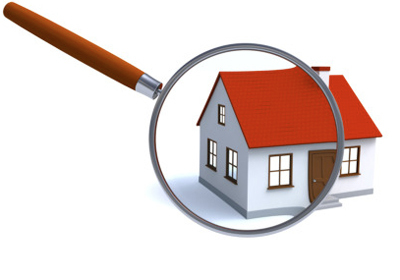 We can help you find an existing home, and we know the builder inventory of new homes too. Consider the Ellis Team your partner in success. In a few years you’ll be thanking us for helping you find your dream home and building equity. Feel free to search the MLS.